We have heard so much about how and why Priyanka Chopra walked out of Salman Khan's next film Bharat. Salman also spoke about it, saying, "She has called up Arpita a thousand times, saying, 'I want to work with Salman'. She has even called up Ali (Abbas Zafar, director) and told him, 'See if you can get me something in this film'." A close friend of Salman tells Subhash K Jha, "Salman never lies. What he didn't mention was that Priyanka went to meet Salman in Dubai to ask him for the heroine's role in Bharat. When she finally got it, she didn't want to do it." 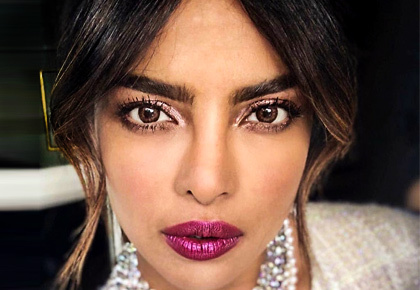 While the reason cited was her engagement to singer Nick Jonas, a source close to Priyanka spills the beans. "Priyanka was put off when she got to know two other heroines were added to the plot -- first Tabu and then Disha Patani. This is when Priyanka had her doubts." "She also got to know about Salman's habit of arriving late on the sets and starting his work way past lunch time while his leading ladies' scenes with Salman are shot in his absence. This is a work mode that did not suit Priyanka's temperament, after working in the unconditionally professional atmosphere in America." Adds the source, "It is true Priyanka pursued the role in Bharat. But at this stage of her career, working on roles that challenge her is more important than being seen with A-list superstars in Bollywood." "Priyanka is all set to marry Nick Jonas. They will produce films together. She can co-star with anyone she wants."